Chocolate desserts in and around Seattle: Your favorites? When it comes to chocolate desserts, I’m a purist. 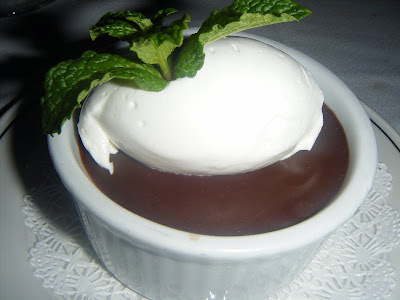 If I’m at a restaurant and see the words “Chocolate Pot de Creme” on the menu, I melt. Otherwise, I’m likely to go for something with lemon. But with Valentine’s Day in the offing and chocolate ruling the dessert lover’s universe every other day of the year, I need your help: I want to broaden my horizons. Tell me about the best chocolate desserts you’ve eaten lately. I’m specifically looking for restaurant nominations, but feel free to wax rhapsodic about dreamy delights in bakeshops, ice cream stops or elsewhere. What did you have and where did you have it? Extra Brownie points if you tell me why you loved it. I adore the Belgian chocolate pot de creme at Place Pigalle. Too bad that romantic little Pike Place Market bistro is closed temporarily due to Market renovations, or I’d suggest you get down there and try it. The good news: they’re slated to re-open February 1st — in time for Valentine’s Day.